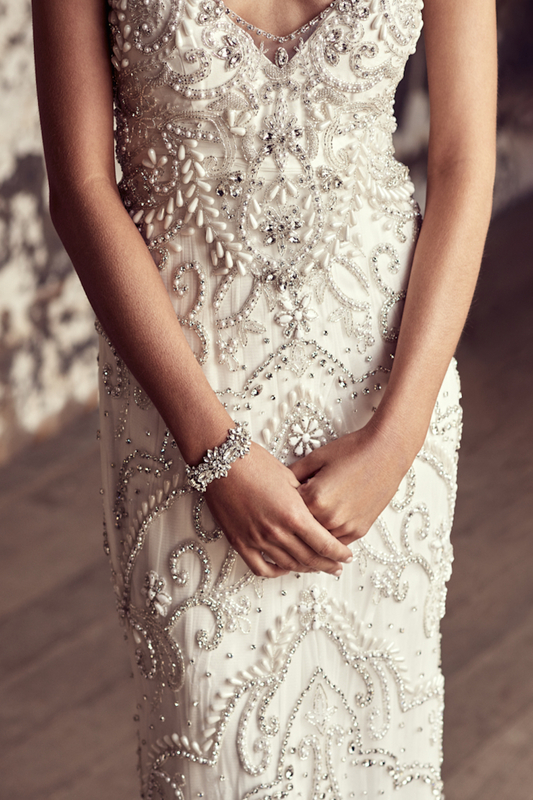 The silver and ivory-toned hand-beading of the Raine create shimmering highlights as you walk down the aisle. Narrow, delicate embellished straps show off an open back that leads to the signature Anna Campbell silk bow. 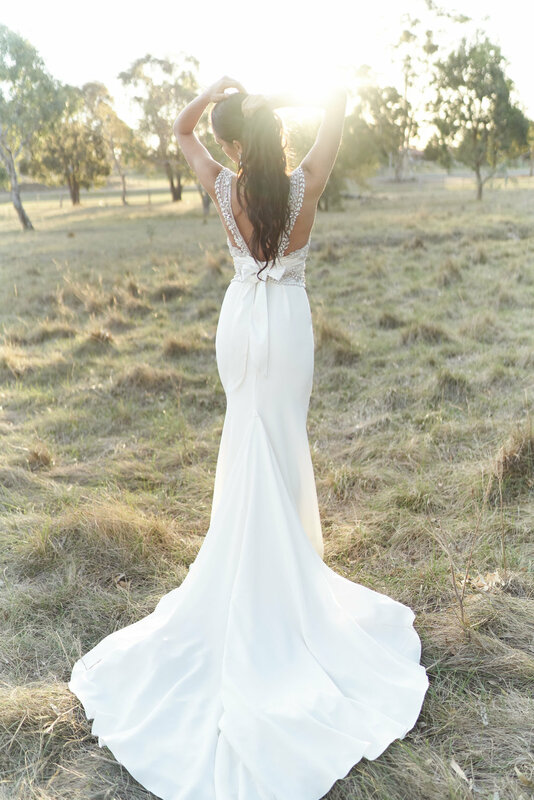 A v-shaped neckline, finished with silver hand-beading, creates an unforgettable bridal look. 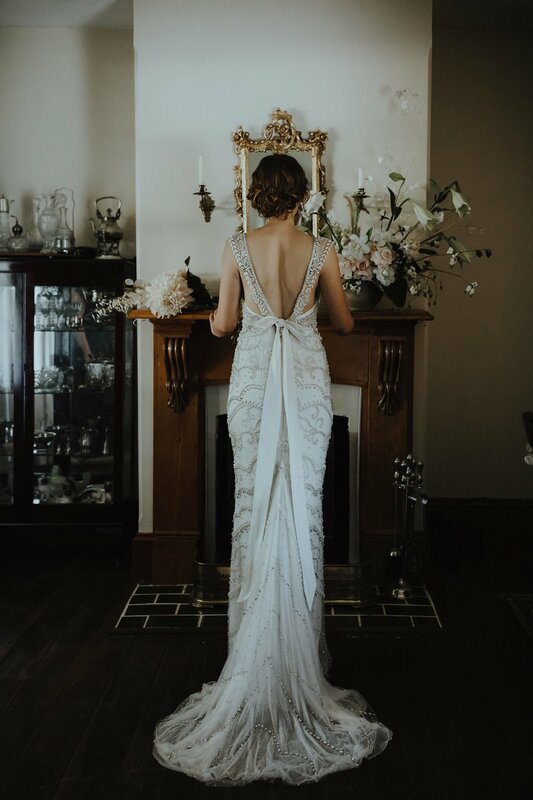 All Raine dresses feature a hand beaded ivory and silver toned embellishment, a 100% Silk Dupion bust, and 100% Silk Satin skirt lining (with the exception of the Summer Silk Chiffon Skirt and Fitted Silk Crepe De Chine Skirt options which feature a power mesh lining). Raine can be customized with multiple skirt options: Brocade Silk Chiffon, Embellished, Fit & Flare Lace, Fitted Silk Crepe de Chine, Silk Organza, Silk Tulle, Slim Line Lace, Slim Line Silk Chiffon, Summer Silk Chiffon. Available in Ivory and Bone (Except for Summer and Crepe de Chine skirt options which are available in ivory only).